Franchising of a business in Thailand is one of the most common business endeavors in the country. 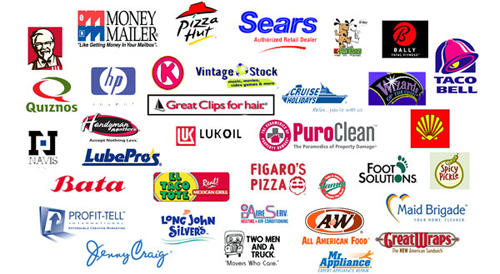 By franchising, the franchisee is given the right to use goodwill of a known firm, company or corporation. Franchising agreement is defined as a contract entered into by the franchisor who is the owner of the goodwill and the franchisee that will use the rights given in the franchise. Just like any other contract, a franchise agreement is an agreement that governs the rights, duties or obligations of both parties. In Thailand they tend to be some of the best businesses around. So if you are considering starting a business in Thailand then consider this as an option. In Thailand, there are no specific laws that governs the franchise transaction of business owners in the country. Nevertheless, the rights and obligations of parties are well protected by the following existing laws in the country. First on the list is the Thai Civil and Commercial Code which governs primarily the obligations of the parties as well as define what is valid in the contract. Second, is the Trademark Act which sees to it that the franchisor is protected for improper use of its trademark. Third is the Copyright Act which protects the franchisor from infringement of its copyright. It must be remembered that most of the franchise agreements are in favor of the franchisors. Fourth on the list is the Trade Secret Act, intended to protect the formula and other essential trade secrets of one known company. There is also the Unfair Contract Term Act that prohibits some terms in the franchise agreements. Under the Unfair Contract Act, it is prohibited to exempt or give restriction for liability of a party that arose from a breach of contract. It is also invalid to allow a party to delay the fulfillment of his obligations under the agreement unless there is a reasonable ground to justify or excuse his non-compliance. It is also illegal for the parties to include in the terms of the agreement a provision that allows any party to end the term of the contract without justifiable or reasonable ground. Franchises in Thailand are also liable for payment of taxes. When the franchisor is a non-resident, the franchisee in Thailand shall be liable to withhold a 15% on royalties paid to the former. Thai franchisors on the other hand are liable for 30% of its corporate net income and the franchisee shall withhold a 3% thereof which must all be paid to the Revenue Department in Thailand. The franchisee is also liable for payment of 7% VAT. Franchising business format is not new in Thailand for it has over 400 franchises as well as over 12,000 franchisees within the Kingdom. Foreign investors interested in setting up franchise business in Thailand are advised to consult with competent Thailand lawyers.